Can I get Workers Comp if the accident was MY fault? Many employees who are injured at work do not believe they are entitled to workers’ compensation benefits if the accident that caused the injury was their fault. This is not always the case, though. For the most part, a worker who is injured at work while doing something that the work created a risk of injury for, is covered under the Workers’ Compensation Act, regardless of whose fault the accident was. There are important exceptions to this rule, though. Namely, you may not recover workers’ compensation benefits if you were intoxicated, under the influence of an illicit substance, or engaged in knowing misconduct at the time of your injury. However, except for those limited circumstances, the Workers’ Compensation Act establishes a no-fault system that protects the injured worker. In other words, if the worker is injured while doing their very best to perform their work duties, it does not matter whose fault the accident is, that worker is covered by workers’ compensation benefits. 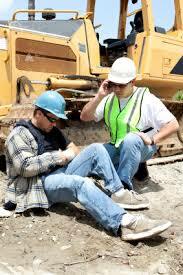 If you are injured at work, you should contact an attorney right away, no matter whose fault the accident was. You may be entitled to workers’ compensation benefits, and an attorney can help you understand your rights and remedies at a very difficult time. Contact us right away for a free consultation at 855-522-5291.